There were three channeling sessions. The material presented offered brand new insights on our relationship to ourselves, to the moment, and to the rest of the physical world. It’s the first new energy I’ve channeled since 2013 and it caught me and Eloheim by surprise. I had been working around the clock in the two weeks leading up to the session as Eloheim decided how they were going to teach the new material they had prepared for us. That work resulted in an energetic opening for the Facilitator to join us. Hello! This is our first visit to your circle, to your energy field, to this place. This is our first visit to your level of reality, of presentation of soul energy and we have been anticipating the opportunity to enter this realm for some period of your time. The invitation was extended to us as you started to do what we are told is called Level 7 work. This body is attempting to adapt as best as able. We will stay as long as is safe tonight. Let us attempt before we must go to just hold the energy field that we have to offer you and we will trust in the rest of them to explain it because clearly we are not going to be able to integrate sufficiently to do that tonight. Let us just for a moment offer you the gift that we have to give. Feel the door open to the physical experience of not simply your current awareness but that which has carried you forth from Source and that which has presented as you over the millennia that you have been expressing, and feel now the potential for access to that information becoming your reality and giving you the gift of the experience of living in this world with the perspective of your infinite self as your companion and your birthright. You have surrendered the requirement of amnesia. And from this day forth you may walk this planet with the full knowing of who you are being unveiled to you in ways you never imagined. We will go and we will return as needed to facilitate this deeper understanding of your experience in the potentials it offers you to both affect your world and affect your personal evolution. We are rooting that to the center of your planet and connecting it to the center of your galaxy so that it will be easier for you to reacquire the signal as needed as we move forward, as we offer you this gift we have been tasked to offer when the time was right, and now the time has come. You may celebrate that if you are able and deeply connect to the honor you have bestowed on all of Creation by desiring it so strongly that nothing else stood in your way. We offer you this invitation and this salutation, this honoring, this gift. 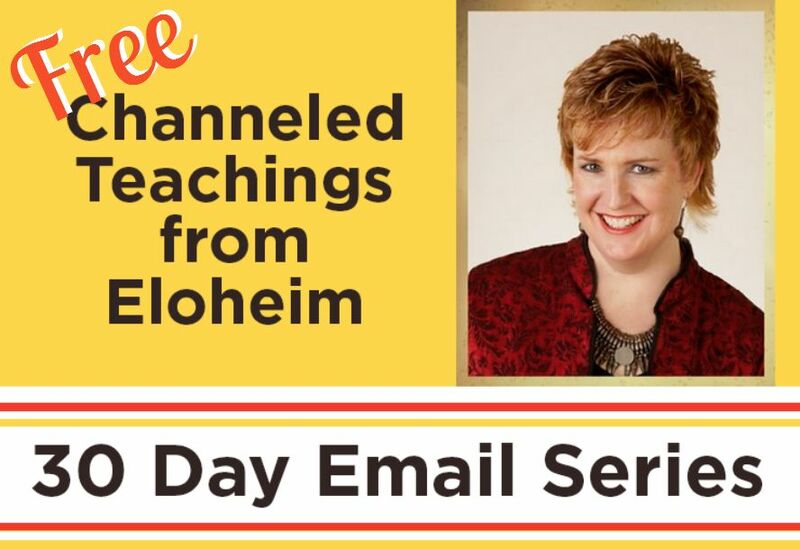 The remainder of the session was Eloheim talking about how amazing it is that the Facilitator has joined our circle and then sharing the mind-blowing material they had been preparing. The weekend sessions included a Q&A where Eloheim addressed the appearance of the Facilitator (WOW! ), Eloheim using the white board to describe the opportunities we have for a deep exploration of the moment and the push into Level 7/8 living, and closed with the entire Council offering their insights on the appearance of the Facilitator and the new opportunities we now have for living in brand new ways. I feel this four session block represents the pinnacle of my channeling thus far. Eloheim opened the weekend by discussing how different Veronica’s body felt to them and its need for more re calibration after the visit from the Facilitator the previous Wednesday. They talked about how they spent the two weeks with Veronica prior to that surprise visit pushing into the truth of “It’s all me.” The deep work Veronica did with Eloheim around ” the resistance to the moment” opened the door for the Facilitator to come in and remove the requirement for and thus, the limitation of amnesia. Eloheim suggested we ask ourselves, “Am I embracing the moment or resisting it?” And to go deeper by saying, “I resisted the moment because…” and then to fill in the rest of that sentence. There is no more pass/go for resistance, and it starts with acceptance of the moment because the moment wouldn’t be here if there wasn’t a “damned fine reason.” After all, if it’s all you, and it is, you put that moment here for exploration. 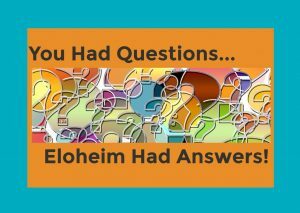 Before the session began, Eloheim asked for written questions from the attendees, and after chuckling over who asked what, began answering them. What is the gift [from the Facilitator’s removal of the requirement for amnesia]? What ramifications or ripples will come from this? What is our responsibility with this gift? How will it affect the community, the world, etc? Who gets to participate in this? Did we, as the audience, contribute to being able to receive this gift? What are our roles moving forward? Eloheim began this session by asking the group if they wanted to recap or push into something new and different. Of course, we overachieving Lightworker types want more! They first gave a small recap of the spectrum of experience of Homo sapiens evolving into Homo spiritus before pushing into the new and different. Eloheim reminds us we’re letting go of need for the Survival Instinct (SI) to be in charge now that the amnesia has been dropped. That’s the theme for the upcoming time. We’re letting go of habit and owning the opportunity for explorations of the moment. It’s time to pay attention, because now it really matters. The whiteboard was put to work, and Eloheim had fun illustrating concepts on it. The scale of awareness and conscious creating was explained, and Eloheim explained that “The act of creation is actually a soul emanation.” It seems that we, as humans, don’t have to make a decision to make things happen. We create on a soul level. Therefore, us saying things like, “I created it and I don’t like it” makes us a victim of our own creations! Eloheim says your physical life, and more than that, is ALL you. It is a reflection of your soul’s emanation, and your soul is offering an experience of being you. The deeper question we need to ask ourselves is, what do we want from our incarnation? Eloheim continued this discussion with more whiteboard drawings about the Levels of creating. They also spoke about the concept of time and its irrelevance. Humans currently deem one moment more important than another, and when we make the choice to see each moment as sacred, we will go deeper into the moment. Instead of moving forward or backward into the past or the future, time will go down deeper into the moment for us. This will liberate us from aging, for example. And will also disconnect us from the species-wide fear of death and destruction. Life has been a slave to the SI and its ideals. It shuts doors. So, how do we liberate ourselves from the SI? A question was asked about the Facilitator and their grounding of energy to the center of the Earth and the Galaxy, and what was the benefit of that? For the answer to that, and further discussion on the SI, the “I don’t know anything” tool, preconceived notions, and much more, check out this weekend. It’s super helpful and will knock your socks off! The entire Council joined in for the last session, each giving a message to the group. Guardians: The Guardians affirmed Eloheim’s statement that this year is one of Disruption, Integration, and Transformation. Disruption is a choice point, do we go back to where we were before or do we treat it as a doorway? The Guardians say this is not a comfortable process, but they are here to support our evolution, not our comfort. They advised us to look for things that are different or changed in us, and not look for the old us. The Guardians remind us that the body piece is the slowest piece, and to let it rearrange itself as we integrate. The physical changes may not be in the body but in our environment. Be in non-resistance and let it be okay, own it, say I don’t know. The Visionaries told us it was an evolutionary moment when the Facilitator came in. Since then, the Visionaries said, Eloheim “went off the deep end” and has become more professor-like. The Visionaries are finding it fascinating to watch as Eloheim figures out how to best use this evolutionary leap to make it more actionable for us. The Visionaries are feeling that this is just the tip of the iceberg for us, that more resources will be coming in to draw upon. They also were very eloquent on the idea that each moment is the most sacred thing we’ve ever had and that it deserves deep respect. The Visionaries offered an important tool to delve deeper in the moment and named it “The Glass Elevator.” This is a tool not to miss and one to practice daily. Eloheim: They discussed integration and the temptation to integrate into the way it was. Q: Since the Facilitator, I have had a low voltage buzz coming up my left leg. What is going on? Q: Can we get a “cheat sheet” for the new teachings? Girls: The Girls were happy that we have found a way to say “Don’t be mean to yourself by being mean to yourself about your creations!” They talked about pushing into the moment and being willing to accept the truth of you and knowing that the emanation of your soul is a completely loving force. With Eloheim’s help with the wording, the Girls offered this wisdom, “The line between who you know yourself to be, and owning ‘It’s all me’ is the place where you will discover how you actually feel about yourself.” The spoon bending exercise was brought up as an example. Warrior: As usual, the Warrior came in strong and confident, giving battleground analogies. They then shared a new (to us) and fascinating story about one of their adventures on a battleground and having to hide in a tunnel in order to escape the huge odds against them. They ended with saying, in each moment you’re in a confrontation with a choice. Don’t make more baggage and static! Fred: Fred told us that the Facilitator has made itself known and that it’s a BIG deal. We created this invitation on a soul level because we said we are ready for more. Now the support for our journey can be increased. Fred said the Faciliator’s energy is more expansive and more steady than their own. The Facilitator has created more of a sine wave type of energetic rather than the steep ups and downs of the past. Choiceless choice means not having to choose, it means you surrender to the moment with no need to choose away. Fred had a great time simply saying the word Facilitator and laughed every time they said it in machine-gun style, emphasizing each syllable separately. Matriarch: As usual, the Matriarch closed out the meeting and the weekend with much love. “Our role is to hold the ascended view of you.” They said this weekend with Eloheim has brightened our energy and that we have changed as we made choices.